Walcker & Co., Op. 1855 was originally built for the Nieuwe Zuiderkerk in Rotterdam. When the church was demolished in 1968, the organ was sold do the Doesburg parish and installed in the Martinikerk, which had lost its own organ during the bombing of World War II. 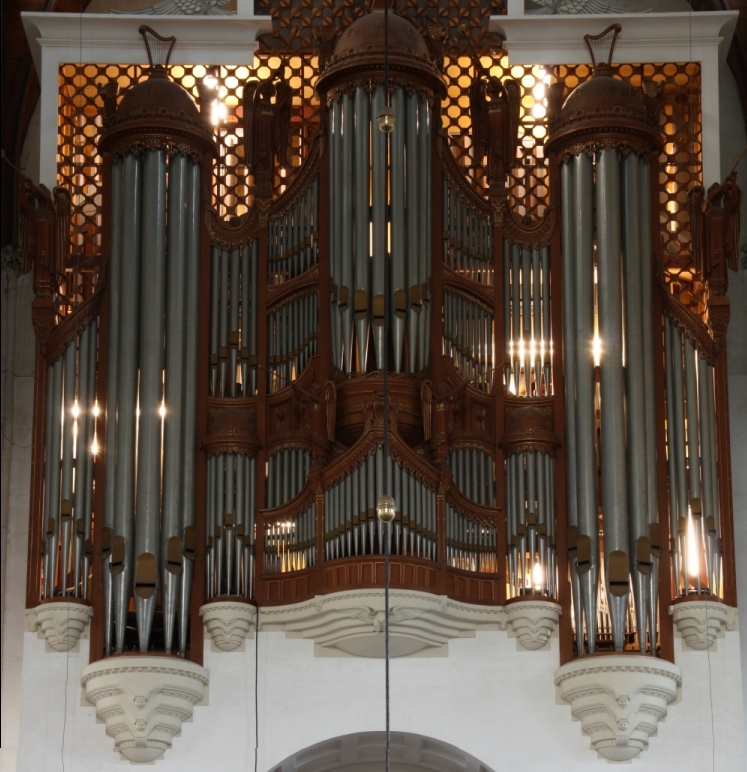 It is a large organ in what is generally considered the “romantic” style. However, it was also influenced by the organ reform movement in features such as reeds in the French manner after Cavaillé-Coll, large swell divisions, and brighter mixtures and cornets after Silbermann (Walcker included Silbermann’s name on the mixtures built to his scales).